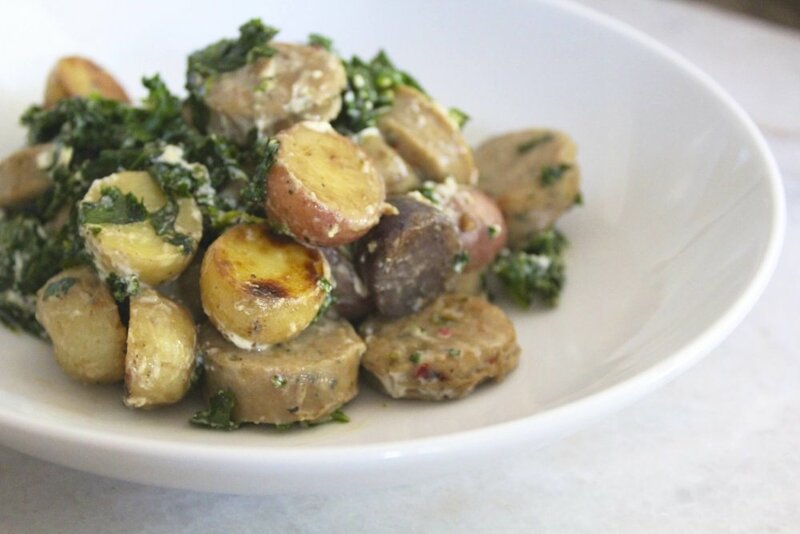 Here is a healthier, more rustic take on the classic meat and potatoes recipe! This potato recipe has all the comfort and nutrients all in one skillet. The kale stays slightly crisp and goat cheese adds the creamy factor. 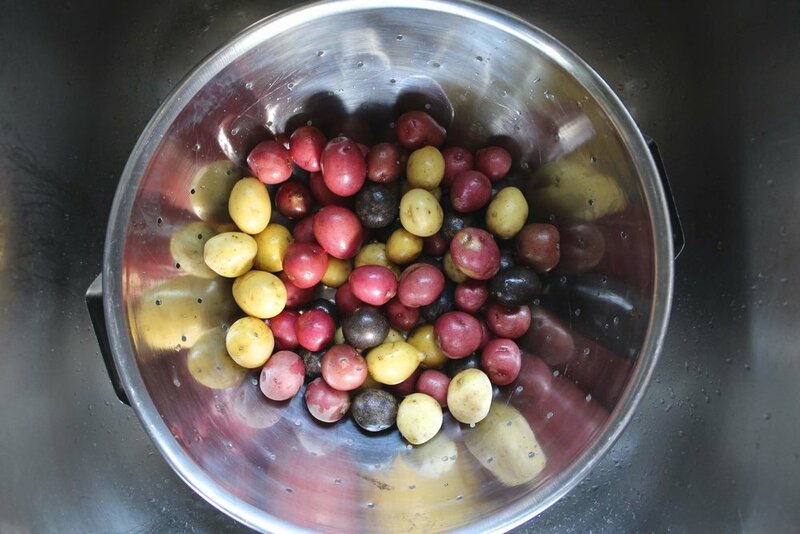 Use whatever kind of potatoes you like, however I highly recommend a medley of baby potatoes as pictured above! Pre-cook the chopped potatoes in the microwave for about 4 mins to soften them up. Heat about 1 Tbsp olive oil in a cast iron skillet over medium heat. Add the potatoes, stirring to coat with oil. Cook for about 10 minutes, stirring occasionally. Once potatoes are soft, add pre cooked sausage, kale, garlic, salt and pepper. Cook for another 10 minutes until kale is soft. Crumble the goat cheese over the skillet and stir until melted throughout.